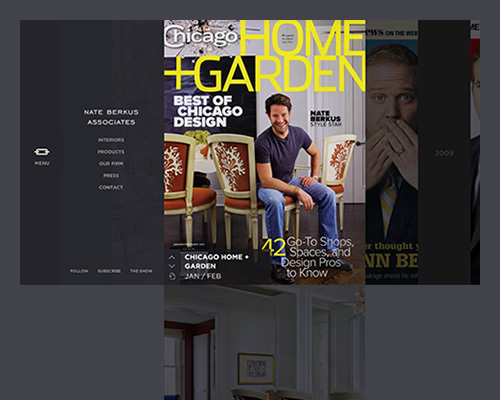 I recently picked up Nate Berkus Associates and Entertainment as a great client and am proud to announce the release of our first project together, nateberkusdesign.com. 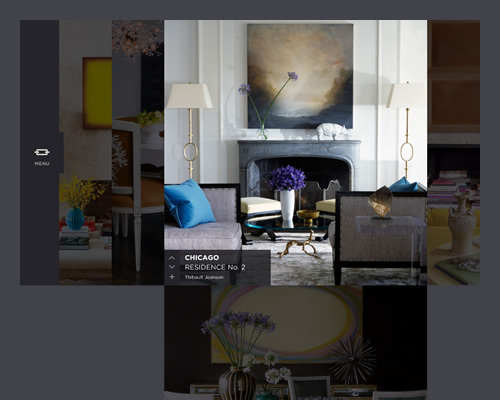 This is a new site presenting the work of the interior design firm based here in Chicago. I used the Gaia Flash Framework for the first time with this site, and it won’t be the last. It knocks a couple days off of development time because of its navigation flow, baked in SWFAddress, and asset loading. With it’s event hijacking, you aren’t limited to a strict event flow and can still get your site to do what you want. This project may have ruined “The Summer of Patrick,” but it was worth it. Keep an eye out for Nate’s new show premiering next month!